After dropping an anvil on Donald Trump’s cranium during his BET Cypher in October, talk of a new album revved up when a website for a fictional prescription drug called RƎVIVAL popped up online. A month later, rumors became reality when Em aired out his insecurities on “Walk On Water” with Beyoncé. Now, the wait is over, and Eminem has officially released his ninth studio album; featuring Royce 5’9″, Westside Gunn, Conway, Boogie, D12, Ed Sheeran, Skylar Grey, Alicia Keys, X Ambassadors, Pink, Kehlani, and Phresher. For me, after two straight listens, Em delivered a “little something” for everyone… else. I honestly don’t think I’ll ever give it a third. And although I think the overall consensus will mirror mine, that’s not to say you won’t enjoy it. The only way to find out, though, is to press play. 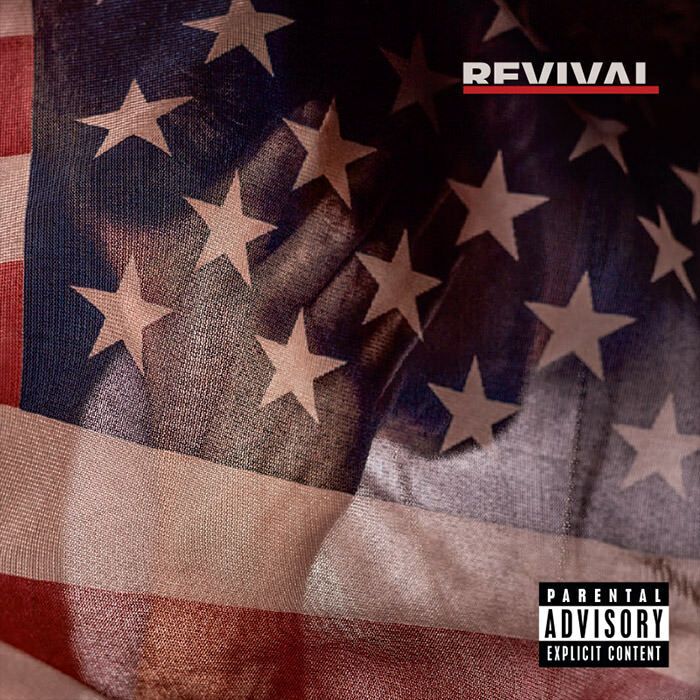 On top of the album, Eminem also performed a medley of songs (“Walk On Water,” “Stan,” “Won’t Back Down” and “Berzerk”) on BBC Radio 1—with help from Skylar Grey, Mr. Porter and Alchemist.